Still marketing to Millennials and their elders to bring in the business? Good! Not marketing to Gen Z yet? Maybe not so good. Depending on your franchise's products or services, waiting to captivate this audience born in the mid-1990s through early 2000s could be a costly oversight. Google calls Gen Z "the most informed, evolved, and empathetic generation"--and they now represent over a quarter of the U.S. population. Moreover, research states that Gen Z will beat Millennials as the most populous generation at 32 percent of the global population by the end of 2019. Not only should their collective and personal buying behaviors be appreciated, so should their influence on family purchases, estimated at $200 billion. So who are these teen- and college-aged kids? Gen Z has never known a world without the Internet, and the average age they first had a mobile phone was 12. They're so used to a digitized world that they're the generation most comfortable with online ads, even going so far as to value--not just tolerate--personalized ads based on their interests and shopping habits (42 percent, according to eMarketer). Additionally, they prefer native ads with relevant content over those ads they see as interruptions. Gen Z is beginning to make their mark on businesses from global brands to local franchisees, but there's an interesting mix of data on how they're going about it. They insist on the gratification of online shopping, but they enjoy buying at shopping centers and malls. They expect two-day shipping, but they'll wait for seven or more days if they don't have to pay for shipping; and they'd rather drive to a local retailer than deal with shipping costs. They're tied to their smartphones, yet they prefer to make online purchases from a laptop or desktop. It's worth remembering that we're talking about a generation here, not a teenage demographic. The oldest Gen Zs are now entering their twenties and are on the cusp of joining the full-time workforce. That means their buying power is about to expand exponentially. And when you do engage them, you won't be alone. Sixty-five percent of retailers say they intend to increase marketing spending that targets Gen Z this year. Get to know them now, so you can market to them and learn from them as they begin shopping for what you're selling. Since Gen Z has been growing up both offline and online, they've been keenly aware of the risks of sharing personal data online and having that data stolen. While they may be young, they're nobody's fools. They are much savvier than you may expect about protecting their identities and financial information. While they're appropriately skeptical about sensitive information being misused, they are generous in sharing their opinions on social media channels. About half of Gen Z buyers give feedback online. That's more than any other generation. Give them a good research, shopping, and service experience, and you're likely to be rewarded online. Failing to do so will cost you. 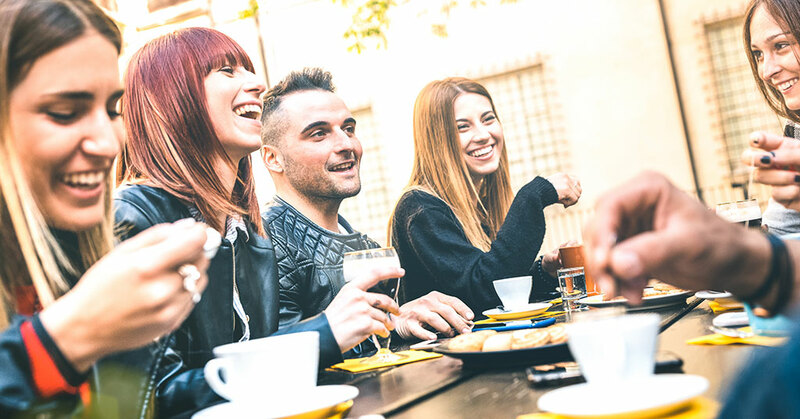 Given that Gen Z is about to explode onto the consumer landscape--and already has a respectable foothold--determine where your franchise products and services fit into their lives now, and where they will fit in the near future. Plan for Gen Z's disregard of marketing they sense is interruptive and focus on personalization and usefulness. Remember that cost savings and value can win over instant gratification for this generation. Finally, treat them well as consumers. They'll often reward you with online acknowledgement. Andrea Brandon is vice president, marketing and creative services at Mindstream Media and has a background in digital and traditional marketing strategy and communications. To learn more, visit mindstreammedia.com or email to inquiries@mindstreammedia.com.